Arguably the sport’s first superstar player, Bristow, 60, was World Champion five times between 1980-1986 and also won five World Masters titles during an outstanding career. 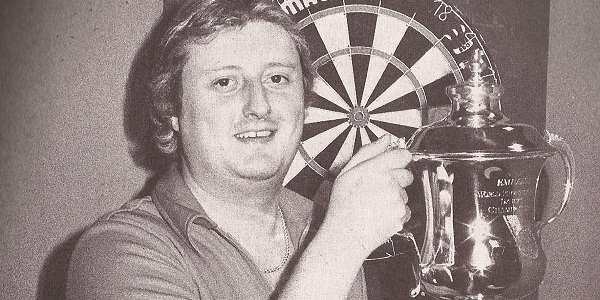 Bristow was one of the founder players when the PDC (then World Darts Council) was formed in 1993 as the sport’s leading stars broke away from the British Darts Organisation. The 60-year-old was inducted into the PDC Hall of Fame in 2005 alongside great rival John Lowe, and since retiring from competition at the end of 2007 remained a popular figure on the exhibition circuit. Bristow also worked as a TV pundit and spotter for Sky Sports, was awarded the MBE for his services to sport in 1989 and appeared on ITV’s “I’m A Celebrity…Get Me Out Of Here” in 2012. Born in east London on April 25 1957, Bristow later relocated to Staffordshire where he proved instrumental in the development of the Phil Taylor as a sponsor and mentor during the early stages of the eventual 16-time World Champion’s career. In 1989, he married Jane Bristow with whom he had two children, Louise in 1991 and James in 1993. 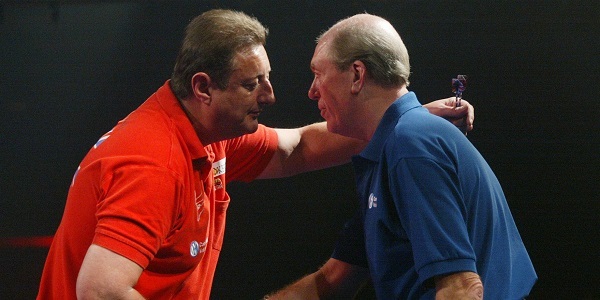 Bristow’s subsequent battle against dartitis was overcome briefly when he reached the semi-finals of the 1997 PDC World Championship, and after making intermittent appearances on the circuit in the following years he competed for a final time on the PDC circuit in 2007. 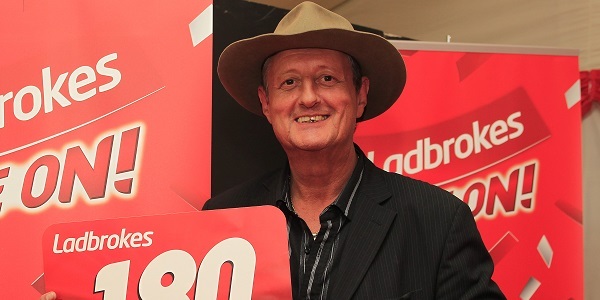 1957 – Eric Bristow born on April 25 in London. 1976 – Is given “Crafty Cockney” nickname after visiting a pub of the same name in California. 1977 – Wins World Masters title, defeating Paul Reynolds 3-1 in final. 1978 – Is defeated 6-3 by Conrad Daniels in the first round of the inaugural BDO World Championship. 1979 – Wins second World Masters title, defeating Allan Hogg 2-0 in final. 1980 – Defeats Bobby George 5-3 to win first World Championship title. 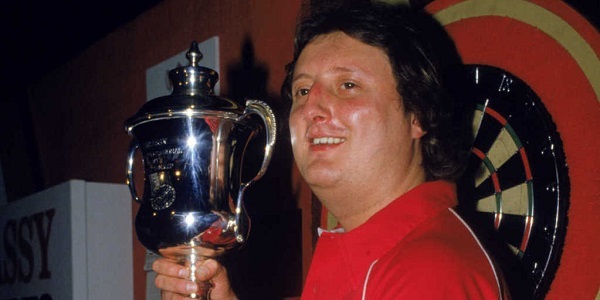 1981 – Retains World Championship title with 5-3 win over John Lowe – the first player to win the event twice. 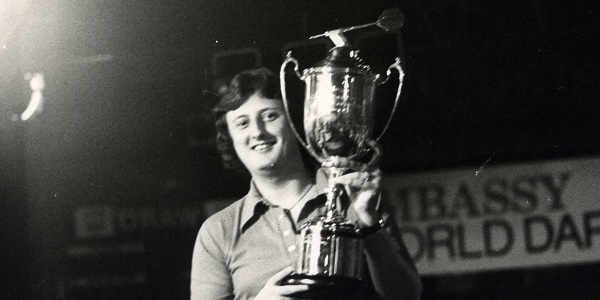 1981 – Wins third World Masters, defeating Lowe 2-1 in final. 1983 – Runner-up to Keith Deller in famous World Championship final. 1983 – Wins News of the World Championship, defeating Ralph Flatt in final. 1983 – Wins fourth World Masters, defeating Mike Gregory 2-1 in final to become first player to retain the title. 1984 – Wins third World Championship, defeating Dave Whitcombe 7-1 in final. 1984 – Retains News of the World Championship title with 2-0 win over Ian Robertson in final. 1984 – Wins fifth World Masters title, defeating Deller 3-1 in final. This remains the most World Masters ever won by a player, with Bob Anderson and Martin Adams winning three apiece. 1985 – Retains World Championship with 6-2 win over John Lowe. 1986 – Wins fifth World Championship, and becomes first player to record three successive victories as he defeats Whitcombe 6-0. 1987 – Loses 6-4 to John Lowe in World Championship final. 1989 – Loses 6-4 to Jocky Wilson in World Championship final. 1989 – Is awarded MBE for Services to Sport. 1990 – Loses 6-1 to protege Phil Taylor in World Championship final. 1991 – Loses 6-0 to Dennis Priestley in what would become his last World Championship final. 1993 – Is one of 14 players who leave BDO to form WDC (later PDC). 1997 – Reaches PDC World Championship semi-final, losing 5-4 to Taylor following a memorable renaissance. 2000 – Bristow loses 3-2 to Steve Brown in first round of PDC World Championship, in what would be his final appearance in the event. 2004 – Plays John Lowe in curtain-raiser to The Showdown between Phil Taylor and Andy Fordham at Circus Tavern, winning 6-1. 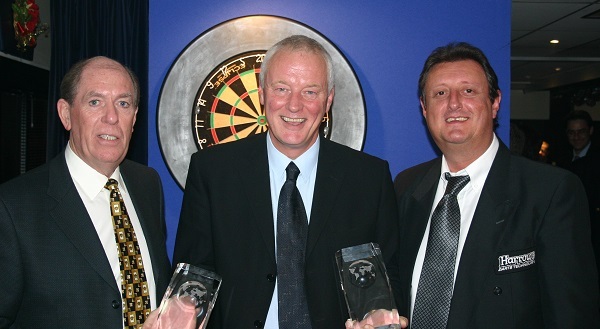 2005 – Inducted into PDC Hall of Fame alongside great rival Lowe as the inaugural members. 2007 – Competed in final PDC tournament, losing 5-2 to Colin McGarry in last 64 in World Championship Qualifiers. 2012 – Stars in ITV’s “I’m A Celebrity…Get Me Out Of Here!”, finishing fourth. 2018 – Passes away on April 5 following a heart attack. Images from 1980, 1985 and 1986 World Championship wins used with permission from www.mastercaller.nl.